Technology is empowering people like never before and transforming how employees interact in the workplace. How can companies attract and keep staff engaged in this rapidly changing world? Metal Toad has all the workplace trappings of a hip new business that caters to millennial-generation employees: a foosball table, a kegerator, Razor scooters for staffers to zip around the office. The tech company, started in 2005 by CEO Joaquin Lippincott, has a mostly young staff in their late 20s to mid-30s. These gadgets give the company a cool vibe, but they are not meant to represent the culture of the business, says Lippincott. The CEO instead seeks to create an atmosphere that empowers its employees to feel they can accomplish company goals. He likes to think the firm is people focused: Management turned a traditional corner office into a community lounge, and there are no cubicles and few private offices. The kind of flat, collaborative workplace that Metal Toad and other businesses on our 100 Best Companies to Work For in Oregon list seek to create reflects a broader cultural shift: People want and expect to have more control and direction over their lives as a result of new technologies that reward people every day with a sense of agency. Social media platforms such as Twitter, YouTube and Facebook allow anyone to produce and share their own content. Sophisticated software has given rise to startups such as the ride-sharing service Uber, which has allowed drivers and passengers to bypass the traditional taxi-service model. Social networking sites like Airbnb and Etsy provide people with a global platform to sell their products and services. The revolutionary power of these new participatory tools is a game-changer for the business world. Employees, especially young people, want and expect to take a more active role in their employers’ operations and decision making. This is upending the traditional business model that concentrates power among a few top managers. An article in the December 2014 issue of the Harvard Business Review, “Understanding ‘New Power,’” described this cultural shift as a growing tension between “old power” and “new power.” While old power is held by a few and is inaccessible to the masses, new power, according to the authors, taps into peoples’ capacity and desire to engage and is more “open, participatory and peer driven.” The battle and balancing between old and new power will be a defining feature of society and business in the coming years, the article says. In an interview with Oregon Business, Henry Timms, co-auther of the HBR article, says businesses are going to have to be more thoughtful about values, because their employees want to be more engaged in their companies’ missions. Business leaders will also have to work out the right kinds of systems and cultures to channel employees’ desires to be more involved. “Working out how to free people up — particularly people with big ideas — to engage is an important hallmark of a new power organization,” says Timms, who is the executive director of 92nd Street Y, a cultural and community center in New York. Flat, collaborative workplaces may be critical to staying ahead in today’s business environment, where rapid technological change means everyone must have the freedom to innovate. But it has not had much of a democratizing effect. For all the benefits of the sharing economy, the gap between rich and poor is the highest it has been in the United States since the 1920s. Wages are stagnating, employees work longer hours thanks to 24-hour email access, and benefits are declining. Is all the talk of employee empowerment just window dressing to disguise poor benefits and a lack of job security? Oregon Business talked to companies in this year’s 100 Best Companies to Work For in Oregon list to see how they are responding to the new power shift. Jill Nelson, founder and CEO of Ruby Receptionists, a Portland-based virtual receptionist company, sees the importance in giving her staff freedom to innovate. This is especially the case today, when technology drives change so quickly that employees need to be always alert about how to improve, compete and better serve customers, says Nelson. “The past, when people had roles and did what they were told, doesn’t make sense to me. We want people to innovate. We want them to feel like they’re being heard,” she says. “Technology has changed how we all work and the ability to contribute. The pace is so fast that everyone has to be an innovator,” says Nelson. Companies’ ability to unleash innovation among employees hinges on their willingness to trust employees to engage and make decisions. This can encompass many aspects of the workplace, such as allowing employees to have flexible schedules to trusting their judgment on expenses. At Ruby Receptionists, staffers have an unlimited budget to buy things for clients — no questions asked. This is designed to help employees connect with their clients and empower them. For example, when the firm had a client that got into a car accident, a receptionist sent a car emergency repair kit. “The employees feel valued at work and given autonomy. We trust them and want them to feel inspired and that they did something meaningful, made someone’s day better,” says Nelson. A big challenge companies must address is how to channel their employees’ desires to be engaged. Rather than hold a company-wide meeting four times a year to tell staff what is going on, managers are going to have to work out how they can more regularly “truly engage people in the mission” of their organizations, says Timms. Part of the firm’s collaborative approach is to make employees feel they are part of the company’s mission. “There are not people behind closed doors; instead we share productivity, and this attracts engaged, entrepreneurial people who think of themselves as owners, not just employees,” says Miner. Law firms traditionally expect their employees to work long hours. But the firm is upending this model, preferring to work with staffers who want to reduce their hours to raise a family. It also fosters collaboration through a mentoring program where it matches associates with partners. Allowing staff to own shares in their companies is another strategy businesses are using to keep their workforces engaged. Giving employees a sense of ownership in the success of the company is a policy at 100 Best Company SheerID. The Eugene-based firm validates potential buyers of goods online for things like retail discounts. All employees in this young company — it was founded in 2011 — have a share in the firm. “As we are all shareholders, every time we increase the value of the company, we all get rewarded,” says co-founder and CEO Jake Weatherly. For all the talk about promoting flat, collaborative workplaces, an element of hierarchy is a reality at most organizations. This is especially the case for companies that have a rapidly growing workforce. In fact, the 100 Best Companies interviewed for this article say hierarchy is becoming more entrenched as they grow. Metal Toad CEO Lippincott also says hierarchy will come inevitably to his organization as it gets bigger. He is learning from established practices about the value of support structures and how it can bring success to teams and their clients. Having an element of hierarchy is not necessarily a bad thing for organizations that are embracing collaborative workplaces. New-power organizations are more about being team building and engaging employees, rather than completely getting rid of hierarchy, says Timms. As corporations grapple with changing expectations of their workforce, business leaders must adapt their management approach to retain talented employees. The days when company decisions came from three people at the top of the organization will not hold up much longer. 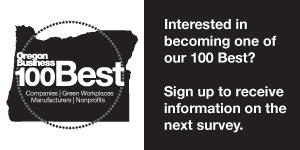 Our 100 Best Companies to Work For in Oregon survey reveals this new trend. Millennials, in particular, are driving a new business culture that requires more openness and transparency. But there are limitations to this model. Employees may enjoy more perks and more flat, collaborative work environments. But one might question whether they are really better off as the quality of benefits declines. Pension plans, once a fixture at large companies, have all but disappeared from corporate America. Workers pay a greater share of their health insurance costs. And the gap between rich and poor is widening, even as the economy recovers. Can new power address these social inequities? Making employees shareholders is one way to address the problem. But the authors of “Understanding New Power” also make the case that new power leaders have a civic duty to engage with the challenges of the least powerful. And this translates to the business world, too. Bosses are faced with the challenge of not just being expert collaborators but also empathetic managers. They have to be able to channel the energy of all of their employees but also be “more human leaders,” says Timms. It’s a long road to travel. But as our interviews suggest, the companies on the Oregon Business 100 Best list are on the right path.